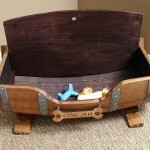 Personalized Wine Barrel Pet Bed Large (P/N 17348). 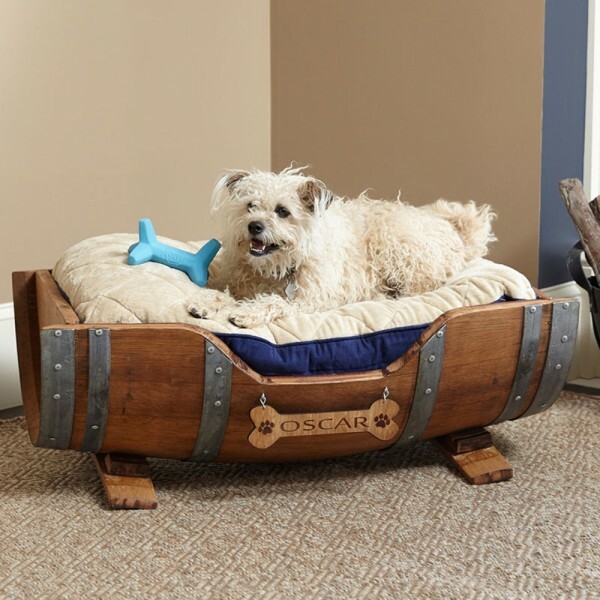 Handcrafted from reclaimed white oak wine barrels, this unique animal bed includes a lift up storage compartment for toys and treats. Includes a choice of personalized plaque in the shape of a dog bone (shown) or oval. Does not include cushion.